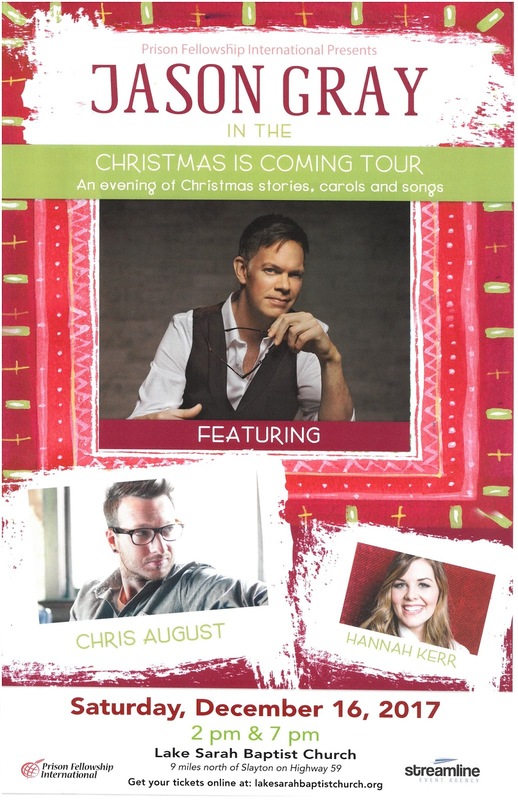 Jason Gray, along with Chris August and Hannah Kerr, will be presenting the "Christmas is Coming Tour" at the Lake Sarah Baptist Church on Saturday, December 16. 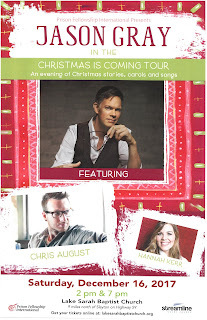 If you are looking for a high quality Christian concert to get you in the mood for Christmas, please consider purchasing a ticket for this amazing show! 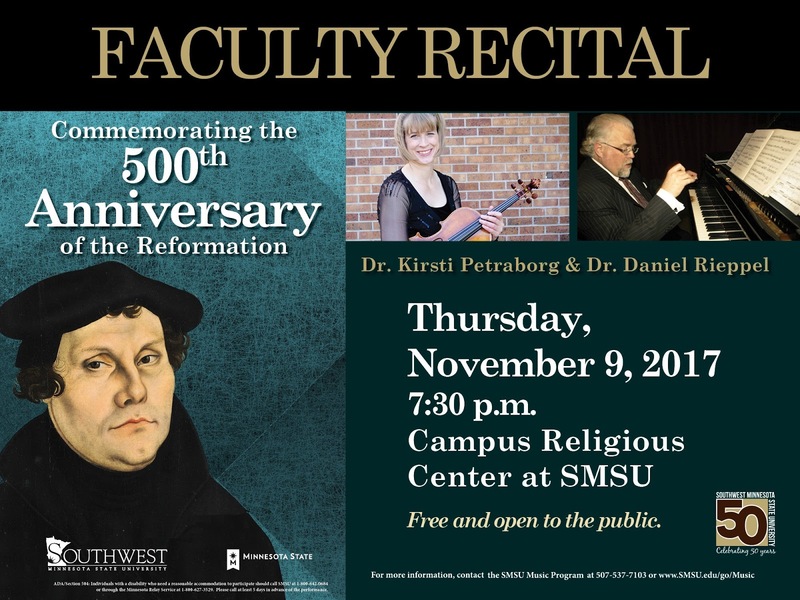 The Campus Religious Center is proud to again host Dr. Daniel Rieppel, and other faculty members, for a concert this Thursday evening. 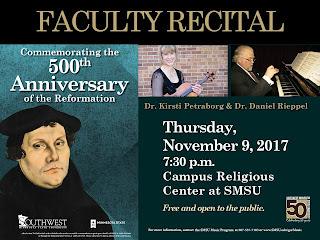 The Faculty Recital commemorating the 500th Anniversary of the Reformation will feature both Dr. Rieppel, as well as Dr. Kirsti Petraborg. This is free and open to the public. We hope to see you here on Thursday, November 9th, at 7:30pm. 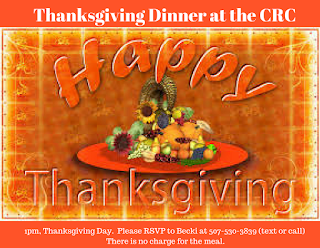 Catholic Campus Ministry will be hosting the 2nd annual Thanksgiving Dinner at the Campus Religious Center on Thanksgiving Day (Thursday, November 23rd) at 1pm. 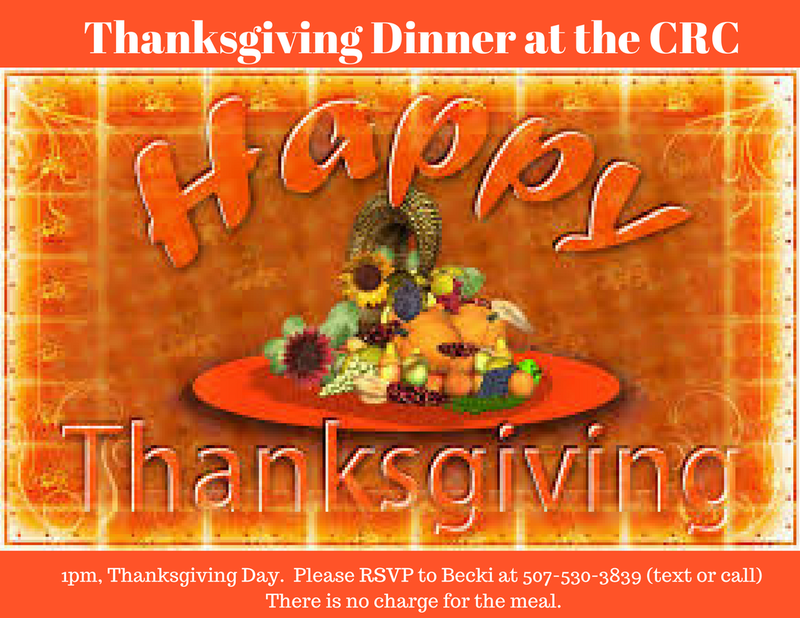 It will be a traditional meal including turkey, mashed potatoes, stuffing, green beans, dinner rolls, gravy, cranberries and desserts! This is open to the entire campus community. A free will donation will be accepted, but no one will be turned away from sharing in the the community dinner. They came, they ate, they played and they left! Some were in costumes and some came as themselves, but there was plenty for everyone, no matter how they arrived. A special "Thank YOU!" to the Holy Redeemer Women's Emmaus for the donation of many of the treats! Campus Religious Center 2016. Watermark theme. Powered by Blogger.